LIVE in Denver ( Washington Park area): 8 weeks, meets once a week on Tuesday nights from 6:30pm – 8:30pm. June 4 – July 23, 2019. Click here to register! Virtual Program: DIY Timing & Pacing…Anywhere, Anytime! Click here to register! Who would you be without your anxiety or self-doubt? What would it be like to be your True Self, more loving, inspired, and strong, in ALL aspects of your life? I’ll tell you. It would be MIRACULOUS. The voice you listen to inside yourself— determines your entire life. Are you choosing from fear or love? Do you know how to make that choice—and turn everything around? You may know I’ve taught the life-changing path of A Course in Miracles for decades, and I’m a little crazy (in a good way!) about it. A Course in Miracles is a spiritual psychotherapy program that has provided millions of individuals with the tools to return to an experience of their own amazing inner guidance and life’s purpose. It is an inspired practice for those who want to be FREE. 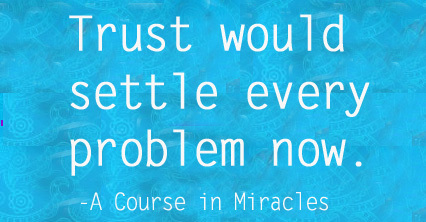 When I teach A Course in Miracles, it is a deeply experiential process. It is intimate, courageous, wild, wickedly fun, and amazingly practical. Attend live in Denver, or opt for the virtual experience, where you get to experience this transformation work anytime, from anywhere. Either way: It’s time to make every moment of your life count. Your happiness does not depend on external circumstances. It does depend on choosing to live in love instead of fear, power instead of weakness. – Practice applying the learnings of A Course in Miracles to whatever you are going through right now, together with others who are walking a similar path of discovery. There is so much power in sharing this journey. Want to participate, but can’t be here in person? GREAT NEWS! 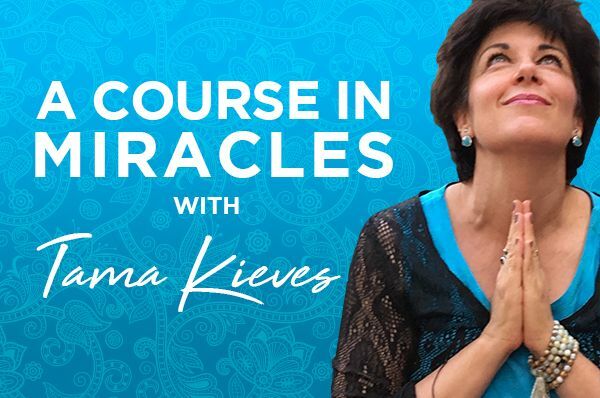 You can now enjoy the power and support of Tama’s A Course in Miracles workshop, from the comfort of your home or iPod…through the Virtual 8-Week Workshop! This option offers the ultimate in flexibility, as you bring this transformative spiritual experience into the time and place most convenient and comfortable for you. Join the virtual experience! And tell your friends in Italy, South Africa, and Cleveland! 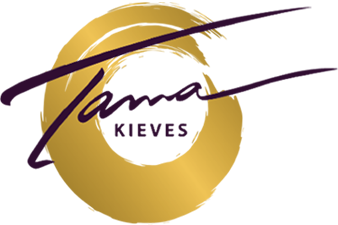 You’ll feel as if you are in the room live with Tama and kindred spirits engaging in deep discussions, including questions and comments from both live participants and also from virtual attendees. Plus…With the recording, you’ll also receive a summary of the lesson focus for the week — and how to practice it, to learn to make both small and monumental life choices from a place of inspiration – instead of fear. For this upcoming session, I’m enhancing the virtual program with some additional ways to support your engagement and dedication, so that we can all move more deeply into the material together, no matter where you are. We will even have an all-new special Welcome gathering and Pow Wow (on Zoom– you can use video or audio) just for Virtual Participants! You can even email any questions or comments that arise throughout the course! I’m very responsive! I often incorporate questions or comments into the live course or may even respond to you personally. Because I read them all, your comments and questions WILL inform and enliven my approach to each live class. The Virtual workshop is just $97. Click here to Register Now!